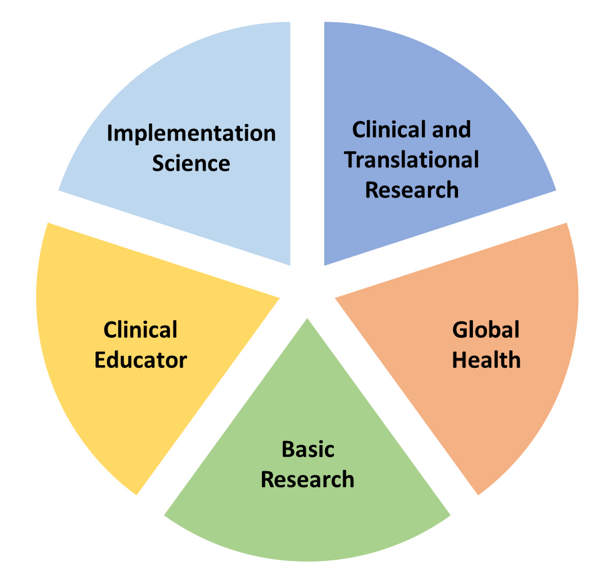 Clinical and Translational Research: Fellows on this path usually take additional coursework in clinical trial design and advanced statistics. Some will choose to obtain a Master’s degree. The program will cover tuition costs for these courses. This is most popular pathway in the program. Global Health: Global Health research funding at UCSF has grown more than 30% per year since 2012 and in 2016 global health research funding exceeded 130 million dollars. Programs within the division include several tuberculosis and HIV programs in Africa and Southeast Asia. Basic Research: Fellows in this pathway pursue mentored research within the pulmonary division or with a mentor from the UCSF community. UCSF has an unsurpassed record of success in training fellows in this pathway. Applicants from groups under included in medicine who wish to pursue careers in basic science are eligible for consideration for additional research funding during their post-ACGME fellowship period (year 4-5). Clinical Educator: The objective of this pathway is to train fellows to do education research or obtain a faculty position with a substantial amount of teaching. Fellows in this pathway take coursework and complete projects in health professions education. Some will pursue a Master’s degree. The program will cover tuition costs for these courses. Implementation Science: Fellows interested in implementation science can work with a mentor in the division or the UCSF community. Some fellows may complete additional IS certificate training through the UCSF CTSI. UCSF fellows are eligible to apply for internal K12 funding in implementation science.